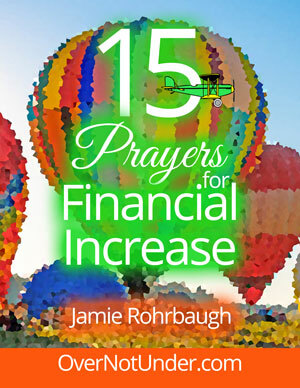 Have you ever wondered what it’s going to take for you to experience the transfer of wealth that the Bible predicts? Sometimes, huge concepts like the wealth transfer seem like distant, pie-in-the-sky concepts … especially when we have not experienced them yet. We believe God, and we desire His promises. So, we pray and pray for the fulfillment of the promise; but we don’t know what else to do to actually make it happen. However, anytime we dissect a historical occurrence of any phenomenon such as a transfer of wealth, we can see patterns we can replicate in order to see that phenomenon happen in our own lives. And recently, the Lord showed me three key ingredients of the wealth transfer that we can each replicate in our own lives, in order to see the great wealth transfer come to pass. 1. You must do business in a frontier. 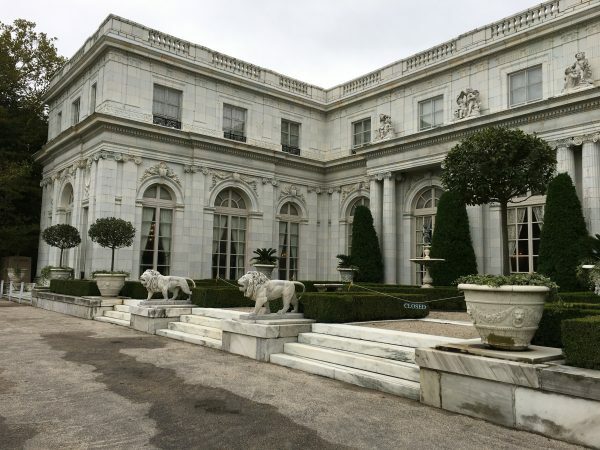 The Rockefellers “dabbled” in oil. A “summer cottage” from the Gilded Age. 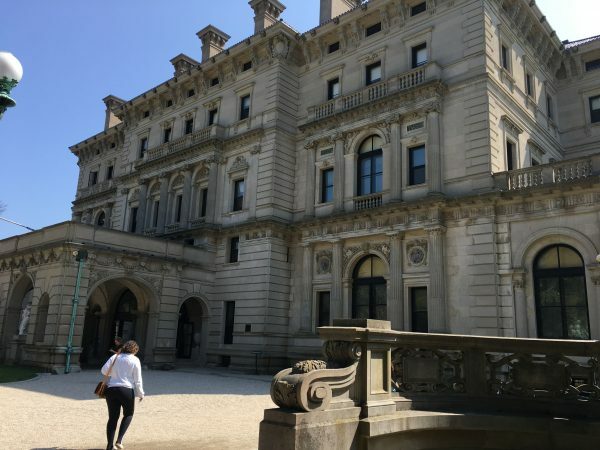 Wealthy families built these huge, ornate mansions to spend only six weeks in during their summer vacations. These families each tapped into their own frontier. And when they did, they found new and inventive ways to solve problems and serve people. They found frontiers where there was little to no competition. They discovered that new ideas could turn into profit overnight. Therefore, they were able to turn enormous profits quickly. 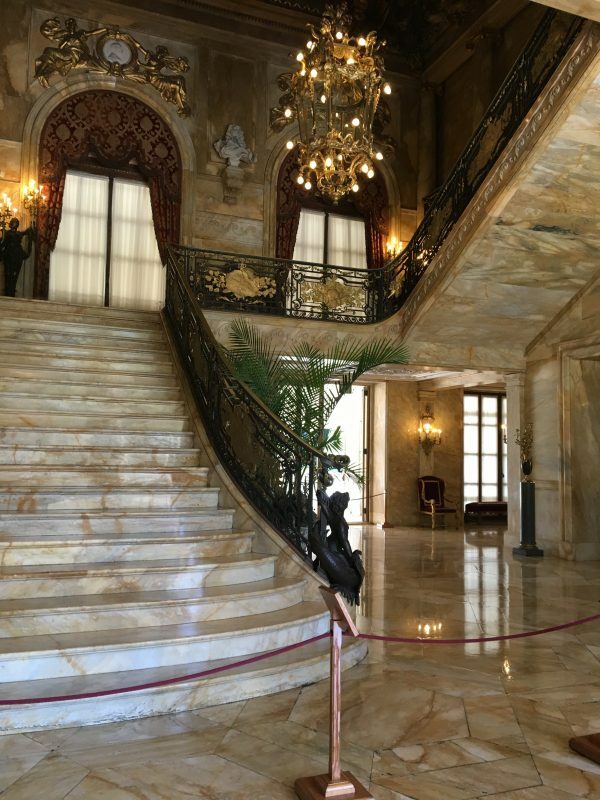 The foyer of Marble House, one of the Vanderbilt mansions in Newport, Rhode Island, USA. Though we don’t always view it this way, work is a gift from God. He loves to see us work at what He has called us to do, and do so “as to the Lord, not unto men.” So, when He does something, it is usually going to require diligence, labor, and faithfulness to the work on our part. continue to maintain a healthy spiritual life, personal life, and family life. The good news is: once you get your business (your breadbasket) established and profitable, it takes less work to make a profit on an ongoing basis than it did at the beginning. The hardest work is at the very beginning. Andrew Carnegie took a tremendous risk by arranging for the first steel bridge to be built. The bridge almost bankrupted him, and he had no way of knowing that people would use such an innovative structure even after it was built. However, he believed that steel was the substance of the future, and he wanted to prove it and serve people at the same time. Likewise, the silver-mining kings had to deal with the risks of cave-ins, theft, empty mines, wild animals, lack of medical care, and many other uncertainties that went along with living in the undeveloped American Western frontier. Rosecliff mansion, a summer cottage built by the Fair family with their silver fortune from the Comstock lode. But they took calculated risks because they believed. They saw the potential in their respective frontiers. They believed in their product or service, and they believed they would receive the results they dreamed of if they would just push into their vision. And if we are going to experience the transfer of wealth in the Body of Christ, we must get back to the basic ingredients required for such a transfer. The American West is developed; railroads have been built; and oil and gas are readily available around the world. So how can Christians find a frontier in which to do business? I believe the biggest frontier available to us today is e-commerce. It’s available to nearly everyone. Startup costs for most types of internet business are low, very low, or free. There is a niche for everyone, from bloggers to preachers to sellers of shoes to travel guides. Every person can have his or her own brand; it’s completely unnecessary to work for anyone else. I believe internet business is THE vehicle God has ordained to bring the Church the great transfer of wealth. It allows you to become the head, and not the tail; above only, and not beneath (Deuteronomy 28). It allows you to maintain your unique identity and function exactly in your own calling and gifting. And the potential for profits based on creativity, new solutions, excellent service, and innovative ideas surpasses what was available at any other time in history. God has called you to be the head, and not the tail; to lend to many nations and never borrow. Jesus also said to occupy until He comes, which means “do business” until He comes. The only way to obey all these commands, as well as to receive the wealth He has promised, is to do business! Not for someone else, either–although we have to work for others and support our families if we aren’t yet in a position to stop doing so. However, even if you are tied to a job working for someone else right now, you need to start a side business if you want to participate in the great transfer of wealth. I recommend a business of your own, not buying into someone else’s great idea or multi-level marketing plan. Start a business that brings YOUR gifts, YOUR talents, YOUR story, and YOUR personality to the table of serving others as only you can. Start a business that will bring you into YOUR dream of serving for the greater good, and will bring YOU all the profits–both to enjoy and to disburse into Gospel work. And, because of the frontier factor, I strongly encourage you to pray about making your side hustle an internet business. 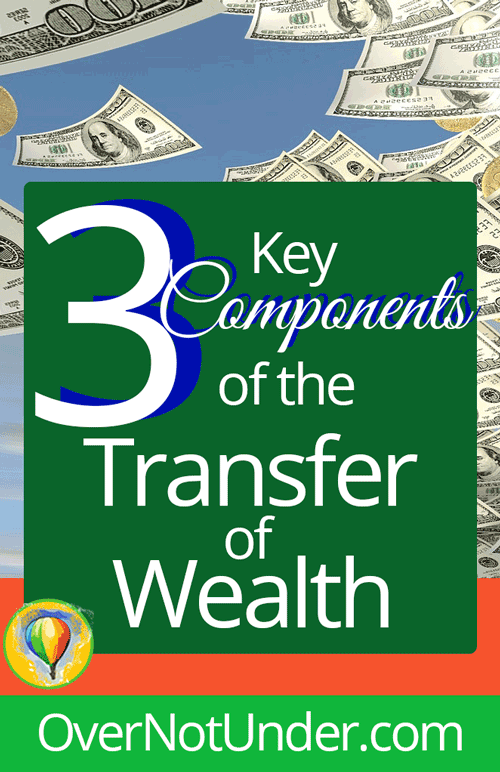 This is a practical analysis of how to participate in the transfer of wealth, but that doesn’t make it unspiritual. God’s Word is full of practical instruction. Receiving any of His promises requires faith, revelation, AND obedience to the conditions. that you can have a business based on YOUR gifts, talents, and calling. What are you doing today that will bring you into the transfer of wealth? If nothing, then it’s time to evaluate how you can begin. If you are already participating, then press on with the leading of the Holy Spirit until the Lord brings you the results you have asked Him for. Let Him build the house, yes; unless the Lord builds the house, they labor in vain who build it. But building anything requires your work and participation. From this day forward, how will you participate in His plan to bring you great wealth through business today? Leave a comment below! 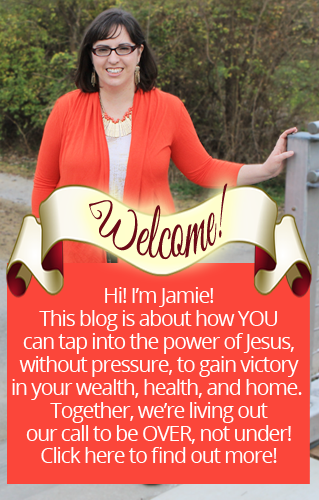 Hey, Jaime I’m an 18 year old Law student and I love your blog! Do you still use your Instagram, I sent you a prayer request-on email I believe- but also a message on IG. I understand that you are quite busy, and I wish you the best with your baby. Thank you for sharing and as children of God our businesses should be run on biblical principles. Thank you for posting this, I’m currently studying business Management I will be graduating in July. I was really hopeing I would have started my business and work for my self straight after university but I have come to realise I don’t have a business idea. I just wanted to find out, what do you do when you really want to start your own business but have no business idea? Thank you Jamie I have been trying to understand just what Father wants me to do and make sure that it is Him that I am hearing and not myself. He gave me a very creative idea yesterday that I am excited to see Him work in, because I am not all that creative but I know if I started my day asking Him to lead me then that is exactly what he is doing. He told me what He wanted to do for me and I believe and receive and I thank you that your are just a confirmation to my spirit and His. Please always allow God to use you, because you are truly a blessing and I thank and appreciate you!! Hie Jamie I studied accounting some years back I never used since I have never worked before .last year I started applying for jobs I got nothing the whole year not even a single interview. I hv always hd a dream of opening my own accounting firm the only reason I wanted to work was to get experience to run my own business. But the beginning of the year God told me Job n working for someone was nt his plan for me so nw I hvn’t bn asking me God to show me which business n him to direct my path. For the word says with wisdom God established the earth I bn praying for him to fill with wisdom knowledge and understanding to start my own business. I need help pray. I truly believe it’s time the economy of grows.